It’s true, what goes up must eventually have to come down, and a tree that needs to be felled, needs to be felled safely and professionally. Whether we’re felling over your favourite greenhouse or a neighbour’s fence, we’ll make a plan to do it safely. There’s so much more to tree surgery than felling trees. There are many reasons why a tree may need to be felled. It may be an obstruction, have become weakened, diseased or be a hazard. The roots may be undermining a wall or building’s foundations, or breaking through underground pipes. Whatever the reason, felling a tree is never something to be undertaken lightly. At Ringrose Tree Services, we have the specialist equipment and expertise to do the job safely and properly. We ensure your property and assets are fully protected , have an excellent safety record, and follow industry best practices. After a tree has been felled, we can grind or treat the stump. Call us today and we’ll be happy to assess your tree and advise you of the best course of action – felling isn’t always the only option. We’re an Approved Contractor of The Arboricultural Association, the UK’s only comprehensive accreditation scheme for the tree surgery business, approved since 2008. 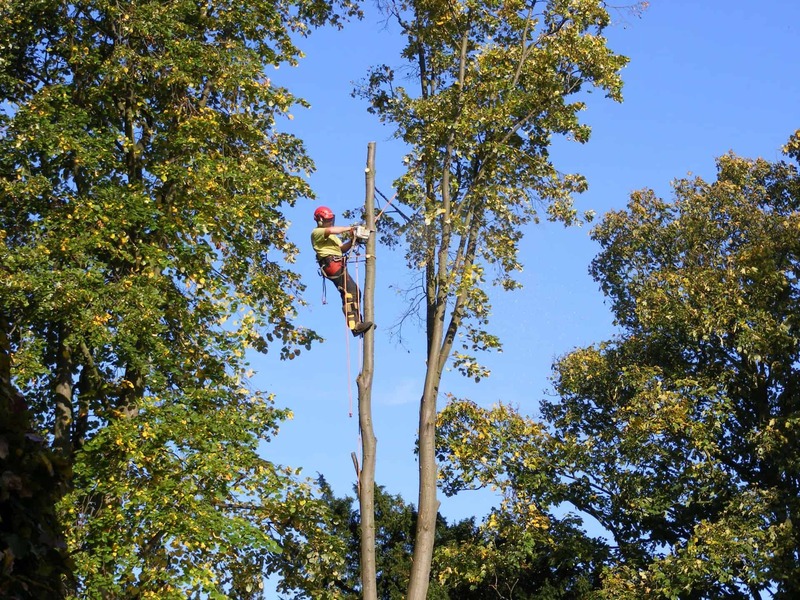 Their mark of quality ensures we’ve been thoroughly assessed and meet the high safety standards required to carry out tree work safely and professionally. We’re also accredited by CHAS: Contractors Health and Safety Assessment Scheme, accredited since 2012. This means we comply with their stringent health and safety standards, and that our work is conducted in a safe, controlled manner.